Product Description: Orderville is a hazy IPA that blends the fruit-forward character of Mosaic & Denali hops with the resinous stickiness found in a mélange of dank varieties. The resulting beer is immensely rad, with an unmistakably bangin’ aroma and a fully saturated hop flavor and finish. The juicy body provides a base-layer upon which the massive, incredibly delicious hop character is built, inviting your taste buds to join a drum circle flavor in a magical forest of hops. Modern Times Beer – Modern Times Orderville – 16 oz. 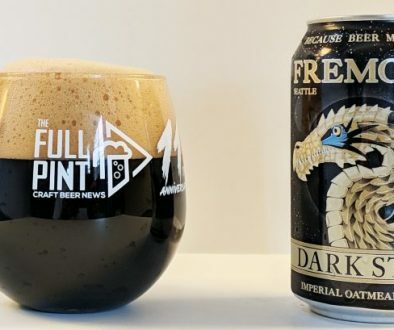 can poured into specialty glassware – 7.5% abv. One of Modern Times’ most beloved special releases, Orderville, has returned for 2018 to join MT’s very solid 6-beer core lineup. 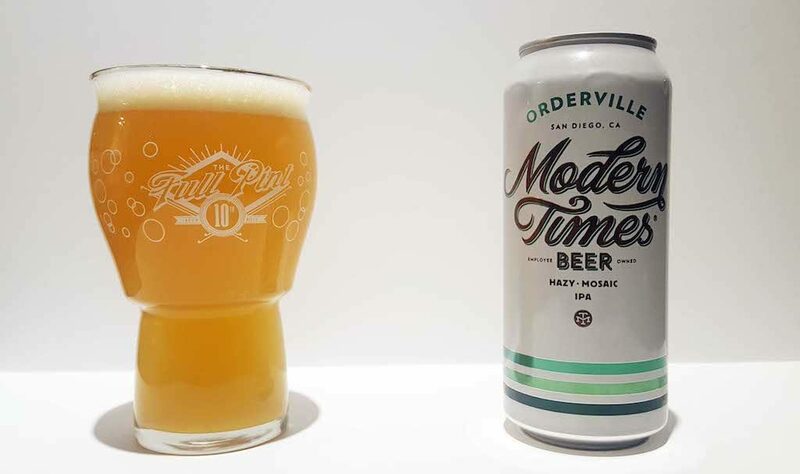 That’s some high praise as Modern Times has been cranking out countless hazy IPAs for the past few years and chose Orderville to be the one to hit maximum retail distribution. The only thing is, this Orderville is not the one you remember. Orderville is a great name taken, I’m guessing, from some dystopian novel. It’s so great apparently that Modern Times has given the name to three different beers. Orderville from 2013 to 2015 was a special release, clear, wet hop IPA with Simcoe, Chinook, and Mosaic hops (6.8% ABV, 85 IBUs). I tried this on tap once and was unimpressed. In 2016 to 2017, it was a Simcoe and Mosaic IPA in 22 oz bottles (7.2% ABV 75 IBUs). The wet hop description was dropped and the finish was described as super dry. Modern Times fans probably remember this beer very well. I tried this version multiple times and loved it. It was a clear beer with banana cream pie, gooseberry, jackfruit, and phenols in the nose with a juicy, soft, quenching body. It was refreshing and delicious. Now, Orderville has mutated a second time to capitalize on the ever-growing demand for New England style IPAs. It has the same ABV and IBUs, but incorporates Mosaic, Simcoe, Ekuanot, Denali, Eureka, and Nugget hops in a fundamentally different hazy IPA vehicle that utilizes oats and white wheat for extra turbidity. And the format has switched from 22 oz bottles to 16 oz cans. 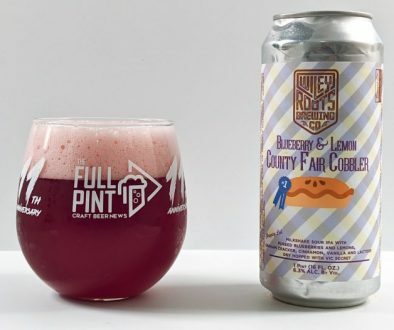 If you’re confused, don’t worry because so is the brewery as their website has the 2016-2017 beer description next to a picture of the 2018 can. I sampled this latest version from a medley of 16 oz cans picked up at Trader Joe’s and also from Modern Times directly. The canning date is clearly printed on the bottom in industry-leading fashion. Into the glass, Orderville is fully hazy, glowing gold in color with medium white foam. The aroma is sweet and tropical fruit focused like a mango banana smoothie. As it warms, you get a split aroma with overripe, sweet mango pulp on one side and then something doughy with yellow cake and banana pancakes on the other. It’s awesome. Flavor-wise, this doubles down on mango banana smoothie. That’s the embodiment of this style, I think. The further away the flavor gets from traditional IPA to unfiltered fruit juice, the better it seems for consumers. But it’s not too sweet and bitterness still has a place here. I’d place the apparent bitterness at a 5 out of 10 while sweetness is at a 4 out of 10. That makes the beer mild and well-balanced overall with the 75 IBUs feeling significantly lower. Sweetness is just enough to allow the flavors to pop and never comes close to cloyingly sweet like some other NE-style IPAs. In the mid-palate, there’s predictable chalkiness from all the heavy molecules in solution. It’s not your crisp, bright, clean, well-structured IPA. This is a comparatively dirty, unfinished beer focused on creating a milkshake-like vehicle for exotic hop oils. It’s exactly what we all want in this style. But the odd thing about this beer is that acidity is at what I would say is a 3 out of 10. 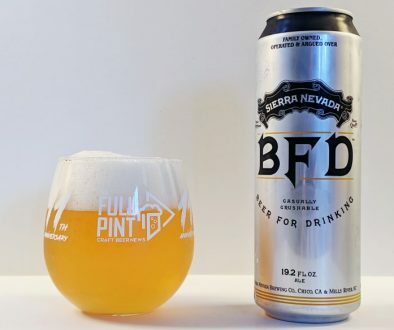 (Most IPAs have no acidity at all, but as we saw with Sierra Nevada’s Hazy Little Thing, they used acidulated malt to add some background acidity.) In the aftertaste, Orderville has a tangerine juice quality with a sweet and sour play that lingers for ten minutes or longer. I had to double check I was still drinking the same beer. Combine that with the substantial creamy grain character from the oat and wheat additions, and the mouthfeel and aftertaste are not too far off from a mild Berliner Weisse. Overall, Orderville hits all the marks for the hazy IPA style and is an authentic clone of what is considered top-tier over in the northeast. It’s one of those beers where you sit down to enjoy and savor it, but the beer is gone in the first 15 minutes. In truth, I went through too many cans to write this review because they kept disappearing. I think this will be a major hit for Modern Times and is so far one of the best NE-style IPAs I’ve seen hit retail distribution. Modern Times is awesome. As somebody who is lucky enough to live in San Diego and drink their limited release hazy IPAs on a regular basis, I can say I think they make some of the best hazys I’ve tasted. And Orderville is an excellent approximation of those beers. I recommend it to anybody who wants to see what the haze craze is all about.